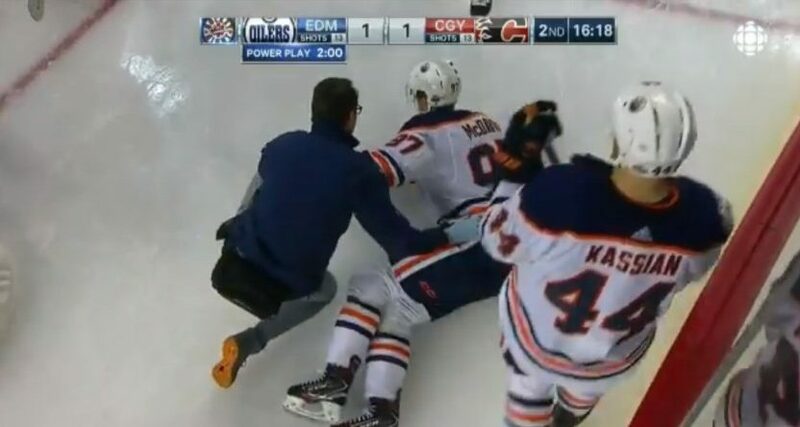 With the Oilers missing the playoffs, there aren’t any imminent games ahead for McDavid, but this is a rough way to cap off a rough year for the team. McDavid posted 41 goals and 116 points this season, second in points and tied for sixth in the league in goals heading into Saturday’s games. And his 116 points were a career-high, while his 41 goals tied his mark last season for a career high. But despite McDavid’s play, Edmonton wound up 14th out of 15 Western Conference teams. And now their star player left their final game with a serious-looking injury, not long after publicly expressing his frustrations with the team’s performance. That’s an annus horribilis indeed.